The potential of the Indian market is huge. The Indian market has a wide road ahead and huge potential. The data shows that in 2018, the global PV installations amounted to approximately 103.3 GW, and China continued to lead at 44.26 GW. The United States ranked 11.36 GW. The top five also included India (9.3 GW) and Japan (6.2 GW). , Australia (3.8 GW). The number of countries entering GW-class shopping malls has increased to 15. Overseas shopping malls are becoming a new corner of China's PV companies. Understanding and deepening overseas shopping malls, and formulating appropriate product strategies and shopping mall strategies for overseas shopping malls are the key to gaining market share. The power grid structure, photovoltaic standards and policies, and shopping mall environments in different countries are different, which makes it difficult for China's PV companies to open up overseas shopping malls. Thanks to the enthusiasm of the Indian government's huge installed capacity of 100 GW and the huge investment in power grid transformation, Indian PV shopping malls have flourished in recent years. The increasing investment in power plant projects and installed capacity in Indian shopping malls has also brought huge development opportunities for China's PV companies. India is a country with extremely uneven power supply and demand. In the past 10 years, electricity supply has always been insufficient. In January 2014, Indian Prime Minister Modi announced the solar revival program: by 2022, India will achieve a total of 175 GW of renewable energy, of which 100 GW of solar installed capacity. It is estimated that India's renewable energy installed capacity will increase by 15.86 GW in 2019. Today, India is already the fifth largest PV installation in the world and the second largest installed mall. India’s shopping malls have nearly 90% of solar panels andInverterFrom imports, most of them come from China. Faced with the huge potential of Indian shopping malls, China's PV companies have also accelerated their “out of the sea” with strong brands and advanced technologies. Recently, PVInfolink, the prestige analysis agency of the photovoltaic industry, released the "Top 10 PV Module Suppliers List of Indian Shopping Malls". The list shows that as of the first nine months of 2018, China's PV companies in the East rose to a total of 717 megawatts (MW) of component shipments ranked among the top three, the top ten component suppliers also include Trina Solar , Artes and other first-line enterprises. Wang Hong, president of Dongfang Risheng, believes that there is a serious shortage of traditional Indian energy supply. In some poor areas and rural areas, it is a luxury to achieve stable power supply. However, among the top 20 economies in the world, India has the highest average sunshine volume, and Modi’s 100 GW solar program has made many overseas investors excited. It is reported that Dongfang Risheng has set its sights on Indian shopping malls as early as 2015, and has vigorously laid out Indian shopping malls with its leading manufacturing level and efficient professional services. At the same time, the shipments of components from the Oriental Rising to India shopping malls have increased steadily since 2018, and in May it hit a peak of 143 MW. The reporter learned that under the increasingly fierce competition in shopping malls, the demand for photovoltaic modules in Indian shopping malls has surpassed that of ordinary single crystals, and gradually transitioned to high-efficiency single crystals. This is a very important transformation for Indian malls. The average product price is higher than the average level of the store, indicating that Indian customers are paying more attention to the technology and quality of the products than before. This gives developers better expectations and higher guarantees about future earnings, so companies should not only focus on initial investment and capital. At the same time, based on a series of actions by the Indian government, floating power stations and roof projects began to emerge. The Indian government publicly stated that the program will implement the floating power station project, and the developer will be selected through the bidding method, and the long-term PPA will guarantee the supply of the power station. In addition, India's new roof-mounted installed capacity in the last fiscal year exceeded the total of the previous four years, becoming the fastest-growing part of the PV installed store. In the fourth quarter of 2018, India's roof-top PV projects amounted to 456 megawatts, accounting for 32% of new installed capacity. Among the two project types, the system BOS cost is much higher than the traditional large-scale ground power station, which also provides a lot of opportunities for the use of efficient products. In response to the current situation of Indian shopping malls, domestic PV companies made advance predictions on shopping malls – high-efficiency single crystals will become the focus of 2019. The reporter learned in the interview that ChinaPV companiesIn the high-efficiency single-crystal segment shopping mall, Jinko Energy uses the new product Cheetah Cheetah series to occupy about 45% of the market share in India. Its Cheetah series has also successfully obtained the Indian government BIS certification in the first quarter of 2019. 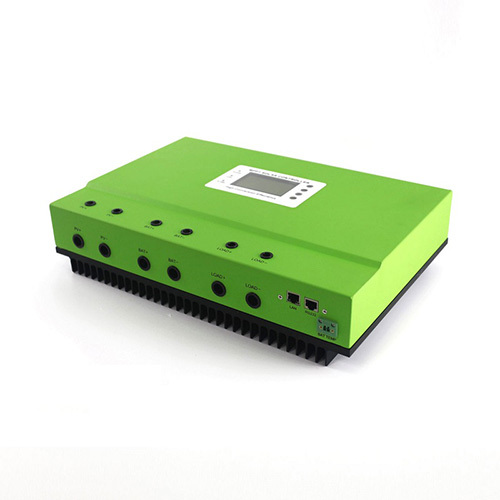 The 400-watt Cheetah module and the Swan transparent backplane double-sided assembly with a maximum power of 435 watts will be the best choice for large-scale ground power, floating power station and roof power station projects in India. It is worth noting that the risks of Indian PV shopping malls cannot be ignored. In the history of India, anti-dumping investigations on photovoltaic products exported to India from various countries such as China have been carried out in the past, and the PV trading policy has been repeated repeatedly. The government's excessive interference, non-standard bidding and auction methods, and incomplete Indian PV manufacturing industry chain have all increased the difficulty of foreign companies entering. In July 2019, India's import guarantee tariffs on photovoltaic cells and components will drop to 20%. It is estimated that India's domestic PV manufacturing industry will not increase significantly. India's domestic battery and component manufacturers may once again file a transaction maintenance application.